Some runners have experienced pain in the bottom of their foot. 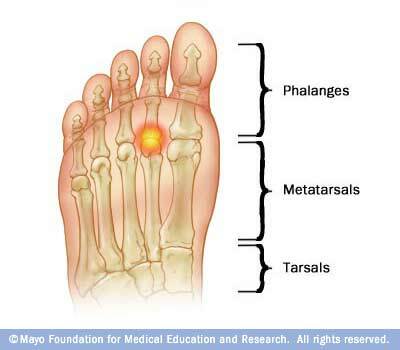 Metatarsalgia, or better know as the ball of the foot pain, is actually a common injury in runners. It is inflammation of the ball of the foot. Having a lot pressure on your forefoot can cause pain and inflammation in your metatarsals which is the long bones in the front of your feet, just below your toes. Runners are more at risk to this injury than other athletes as when we lift off our foot there is sometimes an uneven distribution of weight through our forefoot. 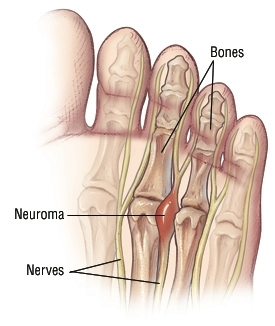 Morton’s neuroma- is an injury to the nerve between the toes, which causes thickening and pain. Usually affects the nerves between the third and fourth toes. Sharp, burning pain in the ball of your foot. When the pain increases when you stand up, walk, or run. Shooting pain into your toes. When you walk it feel like you have a pebble stuck in your shoe, or feel like you are walking on a little ball. Rest- Taking a few days off of running to let the injury heal is the best way to treat it. Ice- Apply ice for 15-20 mins on affected area to reduce the pain and swelling. Using insoles in your shoes- Using some moleskin, or Metatarsalgia insoles will help absorb some shock when you run so your foot doesn’t receive all of the force. wear the right pair of shoes!!! 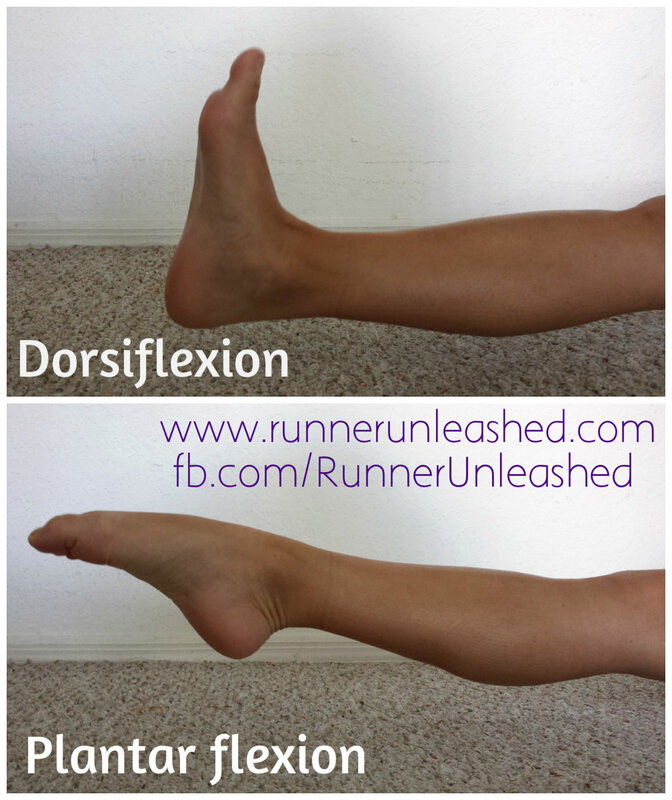 This is something that is VERY important to ALL runners in order to lessen and remain injury free. Having shoes that are too tight, in this case, a pair that has some good forefoot cushioning is ideal. Over-the-counter pain reliever- Taking something like Advil, or Aleve can help ease the pain. But as with any medication ALWAYS consult with your Doctor before you take anything. KT Tape- Of course there is an application for KT Tape, ball of the foot pain. My husband uses this app occasionally and helps ease the pain and along with ice helps with the recovery. 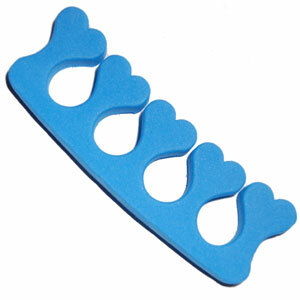 Get one of these toe separators(men asks your wives for it) and squeeze your toes together for 5 seconds and release, repeat 10-12 times. This will also help with toe cramping. Morton’s Neuroma goes hand in hand with Metatarsalgia as it is a swollen or thickened nerve in the ball of your foot. It is a painful condition that most commonly affects the area between your third and fourth toes. Morton’s neuroma may feel as if you are standing on a pebble in your shoe or on a fold in your sock. When your toes are squeezed together too often and for too long, the nerve that runs between your toes can swell and thicken. This swelling can make it painful when you walk on that foot. High-heeled, tight, or narrow shoes can make pain worse. 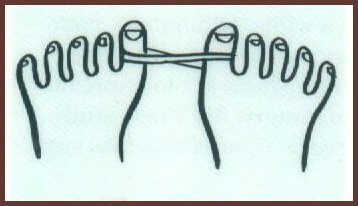 It has very similar symptoms as the Metatarsalgia pain, that is why they go hand in hand. You can follow the same treatment steps above but if it persists or gets worse, a Doctor might suggest a different approach. I have actually been bugged by some pain in my feet lately — likely need a new pair of shoes. But this confirms what I need to do to help make it go away! I appreciate you for sharing this informative post with us! As a runner, I believe running in properly fitted shoes with good arch support and proper cushioning is extremely important. i am a sports man , so i need to always need to maintain my physical fitness . its very important for me that i not involve in any injury so i m happy that i got many information from that your share post . so thankful to you for Pain in Ball of Foot. Because its very important for me. another site also i visit there i got many information now i noticed two there i got information. http://www.kensingtonpodiatry.com/treatments/. Hey! cool article, it was passed on to me from a FB running group. I don’t mind running, but i never got into it because of this pain. i have none of the causes except high arches (and i pronate to the point i can actually walk on my ankles – weird? yes) but i suffer form ALL of the symptoms. The only thing i cannot figure out is this seems to be an ‘injury’ and to let it rest. but this happens to me every time i run… booooo. i do Hot Yoga, weights etc…and would consider myself to be in pretty good shape. Can this occur chronically? or is it always an injury? i plan on going to the doctors, as being fitted properly for shoes at clinics etc…has not helped any – the people are great, but result is the same: expensive shoes that hurt 😦 Funny thing, i can run barefoot with no issues at all!!!! but… i generally don’t on public property as i’m sure i’ll get cut up on something. 😦 I’m doing my 1st 5km and my 1st trail run this month! woohoo! It seems you know what the problem is. But yes, it can be a reoccurring injury that hasn’t properly healed or just a chronic problem you might have. Since you feel better when you run barefoot, who don’t you look into minimalist shoes like Skora? They are comfortable and let your feet be free. the ball of my foot feels like I am walking on bone, and none of the toes on my right foot touch the ground when I walk. 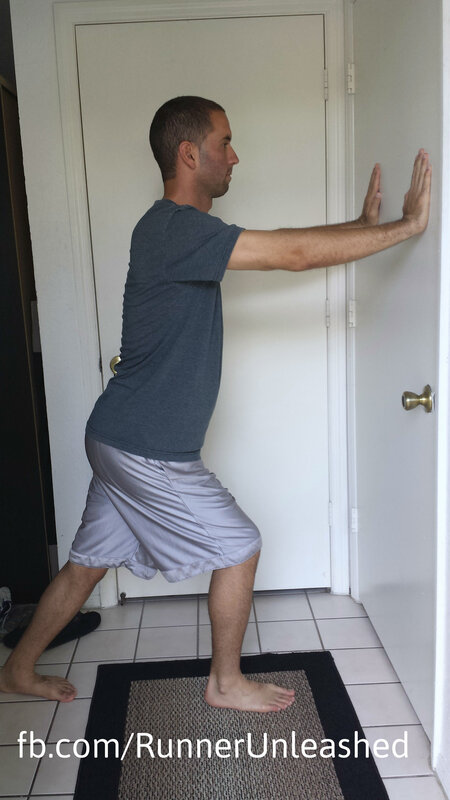 So I try to transfer my weight to the left foot and it throws my let hip out. I have had foot surgery for bunion and hammer toe on the right foot and now have a non union (for 7 years) from that surgery. I need a surgeon who can help me with these problems. I also want to mention that I have Psoriatic Arthritis. Can you recommend a good surgeon to help me? I wish I could recommend a good surgeon Beverly but I don’t know of one. I’m sorry. But you should definitely get it taken care of. I have the same problem today. I ran 4 miles last night, after a couple of weeks off and experienced the same pain all day. I am also noticing that when I pull my two middle toes back I can feel the pain as well. Any ideas? Balls of my feet but mostly my right have been painful and numb for 4 days. Soon 5. It feels like a numb squoosh. However because of numbNess it’s uncomfortable and painful. How long do I wait. Its the one thing nobody in all the sights I’ve been researching talks about. Sorry merideth. Just getting to this now. How are you feeling now? Numbness could be a pinched nerve. If it hasn’t gone away by now you should see your doctor. But icing elevating and taking ibuprofen(approved by doctor) could help ease it. Along with some KT Tape. Eek. Glad you got it checked out. Be safe out there and try the tape for preventative measures once you’re all healed up. I have tape I got at Ironman last year….used for my calf after watching you tube video. Positive I did it wrong lolol any sights you suggest or good kinesiology in BC? my left foot hurts. on the ball of the foot, right in the center. feels like the rock scenerio, feels also like rolling out a tight muscle when I walk. i was in the kitchen and jumped up to grab something off high shelf. and a few minutes after I landed I felt the pain. I also now have slight brusing on the medial side of my shin. I was not wearing any shoes. also I sprained my ankle badly about 4weeks ago. better now but could that have played into the injury? same ankle/foot. it hurts to walk and is uncomfortable but I can walk. should I see a doctor? I have these symptoms, but ONLY when running and it only starts after about an hour or running. 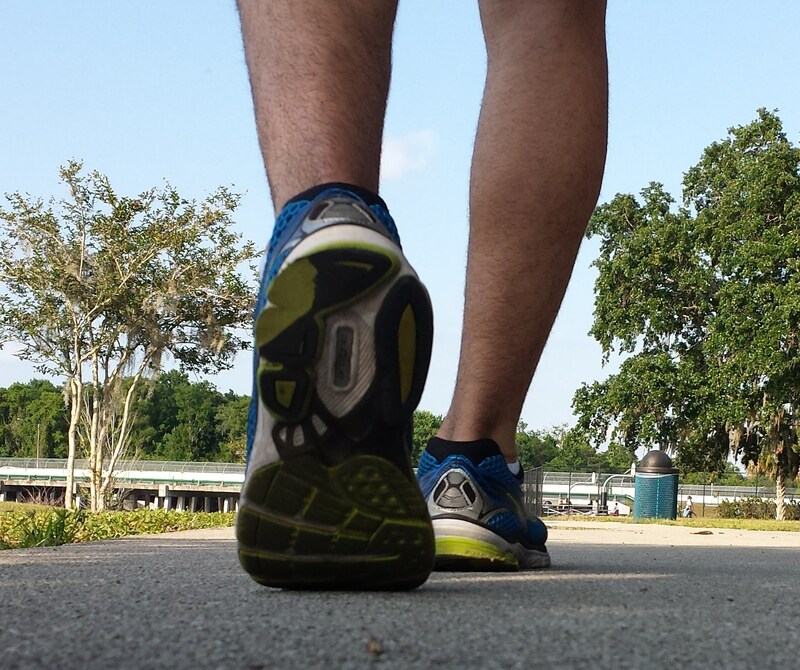 When I stop running, the pain disappears within a minute or two. No problems when walking after running. I’m not sure what to do. Have you checked your shoes? There is no lingering pain after running? Try using some KT Tape for it while you run to give you some support. Thank you for sharing this information. Your descriptions and images make it easy for someone to understand what my be the underlying causes of their foot pain. Do you ice and rest at all? Elevate them after a run? Have you taken any days off? Maybe try some days off and apply some kt tape to the area and see if it helps. THANK YOU!! Great article & helpful illustrations. I have the same problem, normally starts after an hour of running. I used inserts to lift the back of my foot, it did help, but after a few runs it did not help. I got new inserts but nothing. I will try the KT Tape and report how it goes. I have a half marathon in a few days and hope I can manage the pain. Good luck with the race. Hope KT Tape helps. It should. Thank you for such an amazing article. Can you please let me know what to do if the pain does not go away even after 4-5 months? Previous Previous post: Hug a runner day is here!